multifactor authentication . Stolen identities are used for transfering money out of personal bank accounts, defrauding people of their health insurance, government benefits and much more. 2. It improves data security. Sensitive data is more secure when more levels of user authentication are required. If a user is accessing one of your business applications from an unknown machine or geolocation, the user will always be prompted to enter a one-time key that only the named user has access to, because it's in their possession (IE on their mobile device). 3. It helps keep your company from becoming the next headline. Bad publicity can financially ruin companies. By keeping your company secure, you can prevent losses associated with a data breach such as downtime, customer trust, costs involved in fixing security gaps and regulatory fines. 4. It's simple and easy to adopt. Your employees are already accustomed to authenticating themselves in their personal lives as consumers of online services like banking, gaming, social media and email. It’s not as big of a cultural change or hassle as it once was, and more and more people are understanding the benefits. 5. It improves user identity compliance. Many industry sectors such as banking, healthcare, aerospace, and advanced education and research institutions are required to improve the security surrounding user identities, data, and corporate secrets. 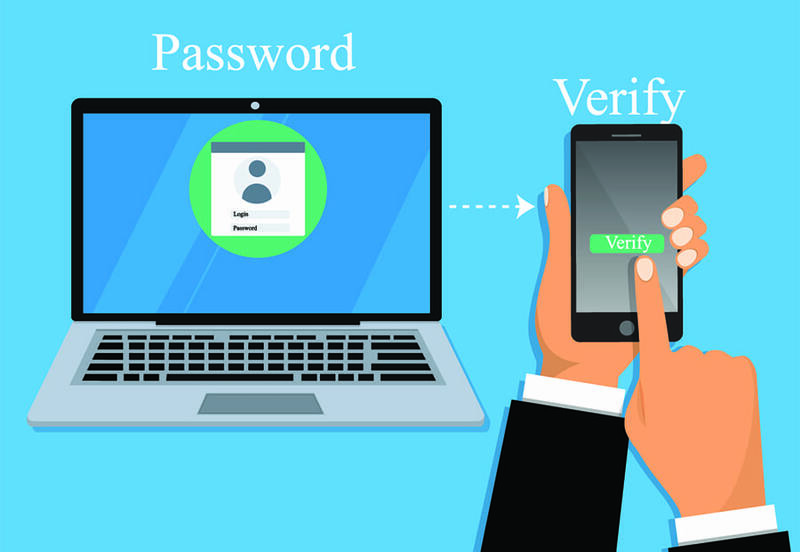 Deploying multi-factor authentication helps bolster companies in security compliance audits. At IT Solutions, we incorporate industry-leading authentication tools into our advanced managed security offerings to protect against the growing number of cybersecurity threats out there. It’s simple to use and quick to deploy and you can have peace of mind knowing that your business data, your customer’s private information and your employees are protected at all times. For more information or to get the conversation started, fill out the form below and one of our sales reps or your vCIO will be in touch with you. Multi-factor authentication (MFA) is one of the most effective ways companies can improve their defense against cybersecurity attacks. By implementing MFA you’re adding another layer of protection, which addresses many vulnerabilities that are associated with the standard username and password-only security approach. One of the most common applications of its use is accessing and managing cloud-based accounts. You likely already use MFA in several areas of your daily life – take online banking for example – so protecting your business and its critcal assets shouldn’t be any different. MFA is especially useful in highly regulated industries where an additional layer of protection is not just recommended, it’s required. Here are five reasons you should implement Multi-Factor Authentication. 1. It reduces identity theft. Selling personal information has become one of the fastest-growing areas in cybercriminal activities. Stolen identities are bought and sold on The Dark Web. Stolen identities are used for transfering money out of personal bank accounts, defrauding people of their health insurance, government benefits and much more.